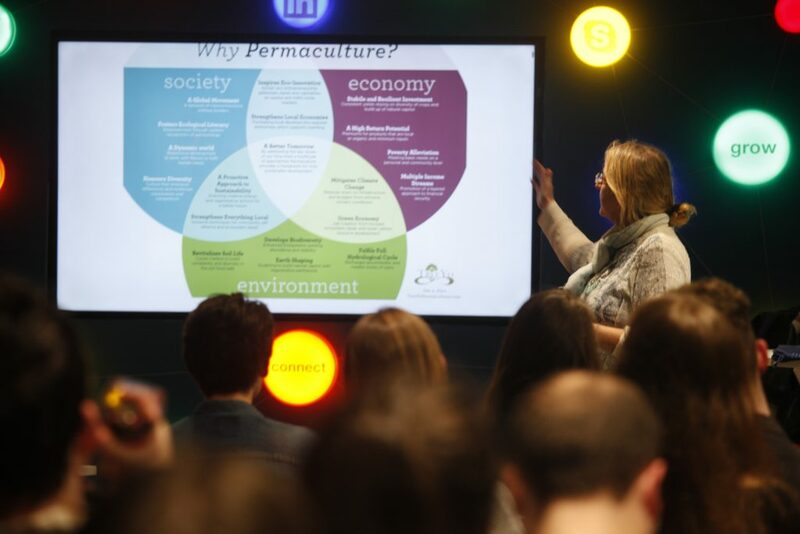 What role can permaculture play in tackling global soil crisis and environmental degradation? 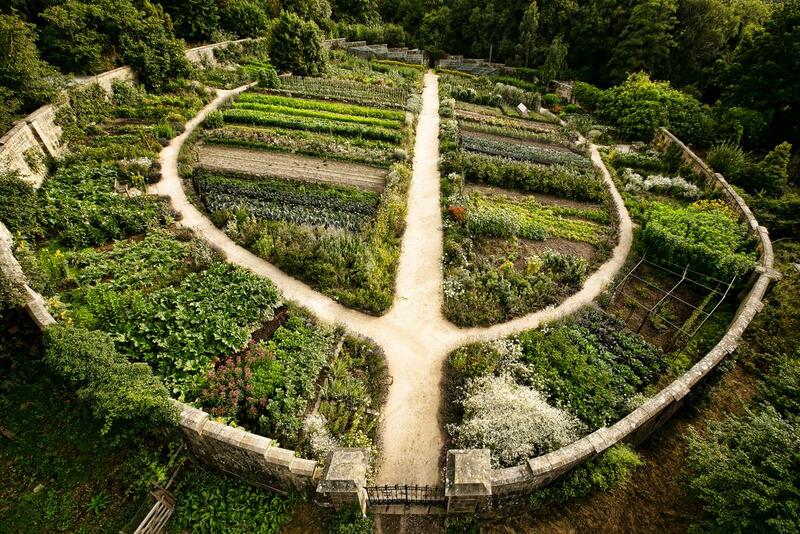 Vegetables garden at Gravetye Manor, West Sussex, England. In a world that is facing increasing demand for food as a result of rapid population growth, the last thing you want to be faced with is a global soil crisis, increasing competition for natural resources, and widespread environmental degradation. Unfortunately, this is exactly the world we find ourselves in, and the search for solutions to such issues has never been more pressing. One such solution may be a more widespread use of permaculture techniques. Permaculture is a creative design system founded by two Australians, David Mollison and David Holmgren, in the 1970s. Among the many principles aimed at ensuring a healthy vibrant planet for all its inhabitants, the system aims to create sustainable, productive food systems while minimizing waste produced in the process. Today, interest in permaculture principles has spread across the globe, including county Wicklow, where social entrepreneurs Mike and Suzie Cahn established Carraig Dúlra in 2007. The social enterprise runs a variety of courses and activities throughout the year, centralizing around developing skills in food production, natural building and resilient communities. Suzie Cahn told The Green News how she first heard about Permaculture during a yearlong family WOOFing trip around Europe, after which her husband Mike did a Permaculture course in Cloughjordan Ecovillage 2007. The couple then took the decision to purchase a 3.8 acre smallholding in Co Wicklow, with the aim of making communities more resilient and sustainable through practical training and skill-sharing. What was once a small segment of “hillside exposed scrub land” has since been transformed through the use of permaculture methods, she says. The soil has been regenerated, Cahn says, with a nutrient cycle put in place and pond and swale systems established. “The yields have continued to grow while labour needs drop”, she says, with apples, hazelnuts, berries, and a vast array of vegetables grown annually. The system has proven to be tenacious and responsive to acute changes weather conditions. “This year we had a full climate change test of our systems”, says Suzie, with “two major snow events and a four-month drought”. “While our organic and conventional neighbours’ systems showed serious signs of stress and we had some water challenges despite our extensive water harvesting systems, we remained a small island of abundant productive multi-layered bio-diverse green in a sea of scorched brown,” she says. 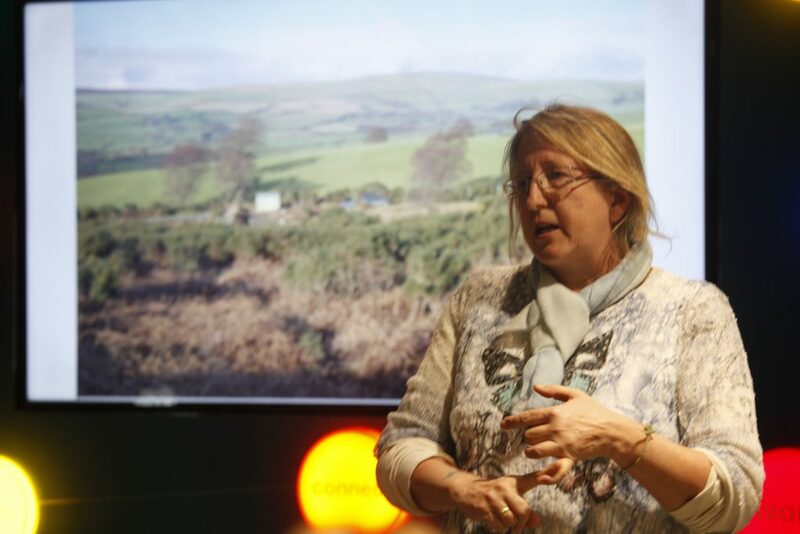 The positives of using a permaculture system are not limited to the physical environment, Cahn says, with Carraig Dúlra designed “as a community hub”. As our society is dependent on healthy natural ecosystems for mental, physical and spiritual wellbeing, Cahn says, it is imperative to work with nature to tackle contemporary environmental and social issues. 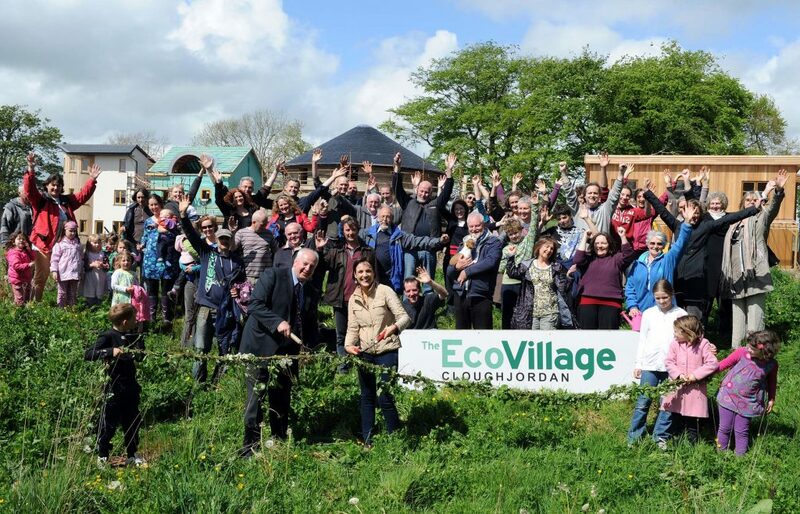 Philippa Robinson, a member of the Cultivate team at Cloughjordan Eco-Village, says that, while permaculture was developed primarily for managing land and homesteads, it is “so much more than you realise”. “It’s a lifelong journey, it never ends. You begin to learn about it and you begin to see the world in a different way,” she says. Elements such as the no dig method to avoid destroying microbial life and the avoidance of monoculture planting make it very different from both conventional and organic farming. “What you’re looking at with permaculture is a way to reduce the amount of work you put in to get the maximum yield from the land,” she says. While there are several grassroots organisations that recognise the advantages of adopting such practices, both Cahn and Robinson are aware of the difficulty in gaining widespread support. Robinson argues that the difficulty in gaining support may be attributed to the lack of scientific research carried out on the topic, and the fact that it’s is still relatively young as a system. Permaculture is also being eclipsed by the emergence of modern techniques such as smart farming and precision agriculture that are marketed as increasing effectivity and productivity. Cahn, however, says that the idea of feeding an expanding global population through technologically advanced farming is a smokescreen to keep money flowing back into the hands of the few”. This is not to say that new technologies are entirely antithetical to permaculture methods, Robinson says, and permaculture practitioners can use modern technology to their advantage. “It’s about taking old wisdom, or what you would call common sense stuff that our ancestors knew about the land and knew about the climate and marrying that up with modern technology and using both together so that we’re using something that’s really of its time,” she says. In Cloughjordan Ecovillage, for example, an onsite fabrication laboratory with a 3D printer gives the community an opportunity to design and make their own goods. “So rather than it coming off a production line and you going into the warehouse and buying it, you can go into the maker space and create something yourself,” says Robinson. By re-localising the means of production, you make communities more resilient, which, as Robinson notes, is part of permaculture as well. “It’s just that constant battle to reduce the dependency so that you’re in control. You’re in control of where the essential things in your life come from”. Cultivate will be running their next permaculture design certificate course in August 2019 and will be holding a permaculture kitchen course on 9 November. Carraig Dúlra will have a two-week total immersion permaculture design course from 18th – 31st July 2019. Kiva has a BA in English and Classical Civilisations from TCD. She is interested in environmental issues, photography, and media.